The Marbella condo complex is near the popular beach town of Jaco. 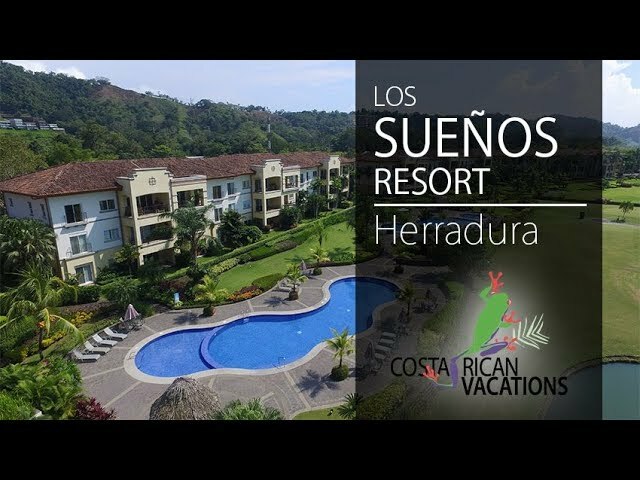 These condos in Costa Rica are located on a picturesque hillside in the Los Sueños resort. They feature tropical-colonial design including tiled roofs and wrought iron detailing. The one-, two-, or three-bedroom residences feature spacious living areas, gourmet kitchens with hardwood cabinets, and energy-efficient air conditioning systems. The terraces give guests access to stunning views of the marina and jungle. Access to three swimming pools and barbecue areas. Sun decks ideal for lounging and relaxing. Access to other Los Sueños amenities like the beach club and golf course.